Ready to take on the forces of hell in an all new way? Doom Eternal will allow you to do just that, as it's been announced as a launch title for Google's new game streaming service, Stadia. While Doom Eternal will also have a traditional release on PS4, Xbox One and PC, it'll be among the first wave of games Google has signed up for Stadia, allowing players to stream the game in 4K / 60fps to any screen that can support a Chromecast or Google Chrome browser. Bethesda's backing of Stadia is significant – particularly by launching with a fast-paced shooter like Doom. Streaming services are by no means new, but have always suffered from overly-high latency issues which make them feel sluggish, putting a delay between your controller input and the action being reflected on screen. But Google promises that a combination of its infrastructure and a new innovative controller that connects directly to the cloud will alleviate these issues. Google's Stadia showcase failed to reveal a few details however – namely price or release date, which means Doom Eternal's release date remains unknown too. 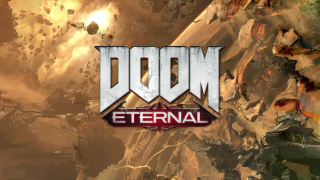 It also failed to share any concrete new details about the game, but that's unsurprising – we've already learnt that Doom Eternal will play a major part of Bethesda's E3 2019 conference. We'll be at the show, ready for to deliver all the details, so check back soon for more on both Google Stadia and Doom Eternal.